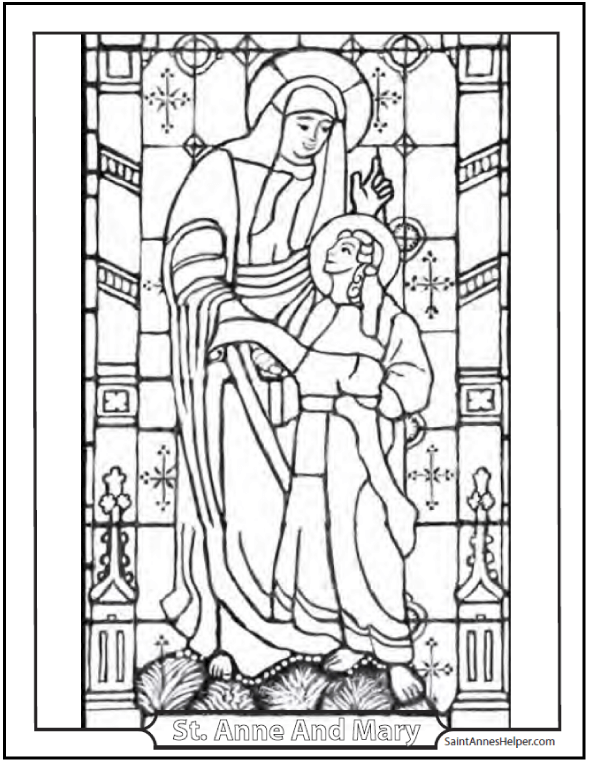 Celebrate her feast with our Saint Anne coloring page on July 26. 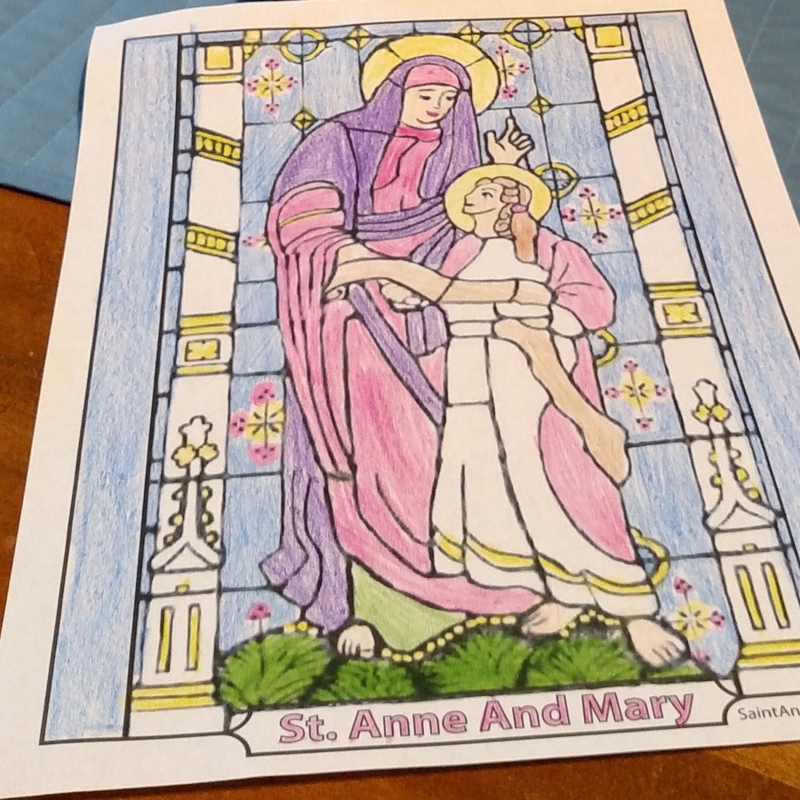 This is such a sweet Saint Anne and Mary coloring page. Great for the feast of St. Anne. It's made from an antique stained glass window. 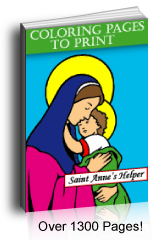 Saint Anne is the patroness of those who teach their children, so it's great for Catholic homeschool, too. It's also a lovely Catholic coloring page for the feast of the Nativity of Mary, the Blessed Virgin on September 8, her birthday. Great for Sunday school, Catholic catechism, or Bible study. Kids love to learn that since Mary is the mother of Jesus, St. Anne is the grandmother of Jesus. This PDF prints to 8.5x11" single sided. Saint Anne taught Mary. It's a lovely image of parents teaching their children. Audio Baltimore Catechism - like having a Baltimore Catechism tutor!